The Lake County Domestic Relations Court has exclusive jurisdiction to hear divorces and dissolutions. When both parties agree to end their marriage, they can do so through a dissolution. In order to obtain a dissolution, the parties must agree on all property division, parenting and child support, and spousal support before filing the petition for dissolution. If spouses do not agree on whether end their marriage or how to handle property, parenting, child support, and spousal support issues, they will need a divorce. The Court also hears legal separation and annulment cases. Find out more about the types of cases the Court hears on the right. 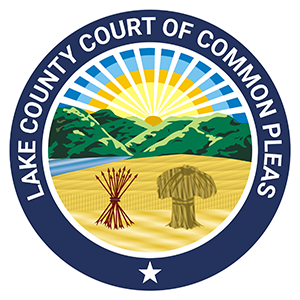 The Lake County Domestic Relations Court hears cases involving the allocation of parental rights and responsibilities, commonly known as child custody. The Court also determines child support. The Court has jurisdiction over children’s issues from the termination of marriage until the children reach age 18 or graduate high school. The Lake County Domestic Relations Court hears domestic violence cases and issues civil protection orders. The Lake County Domestic Relations Court registers orders from out of state or from outside the United States for enforcement or modification purposes. This includes orders for child custody and child support.